Who does not like reading about the brave souls? The Articles on Bravery infused with nature photography showcases how the brave-hearted are often equivalent to the fearless and how it is absolutely necessary to be fearless in all circumstances of life and to be able to take the right risks at the right time. 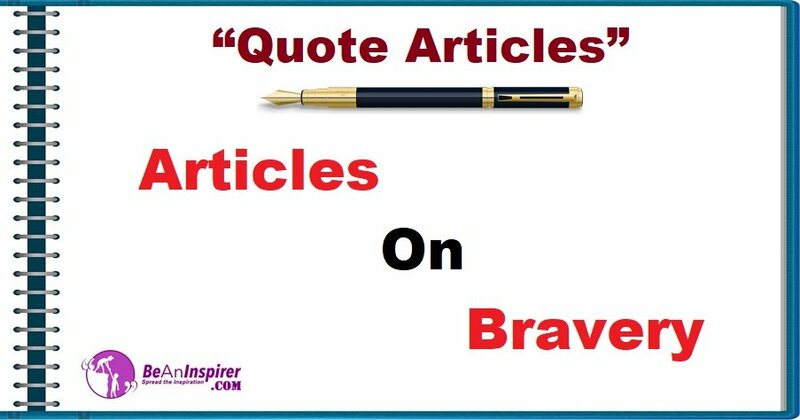 Also, to add on to the beautiful anecdotes and articles on bravery, hear out what the famous personalities had to say about bravery in articles on Bravery in the Quote Articles section. If You Are Brave Enough And Believe In Yourself As Well As Risk Taking, Then There Is No Stopping For You!